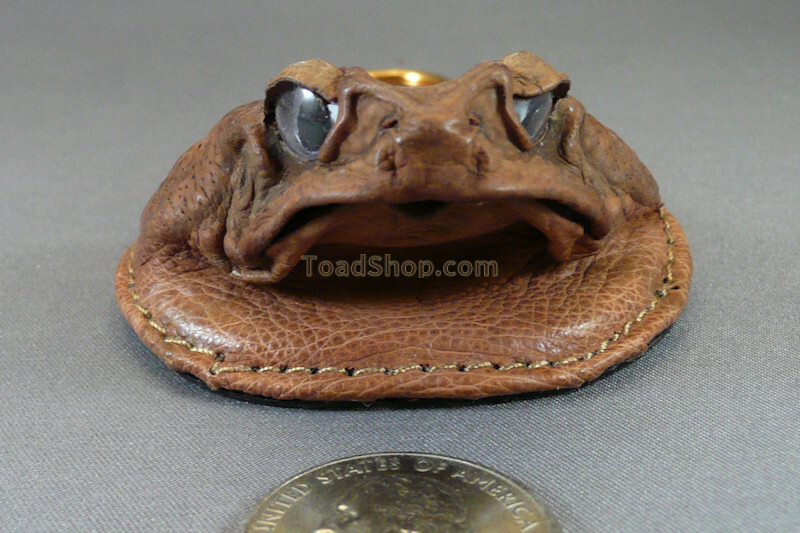 A simple key ring made of the head of an Australian Cane Toad. 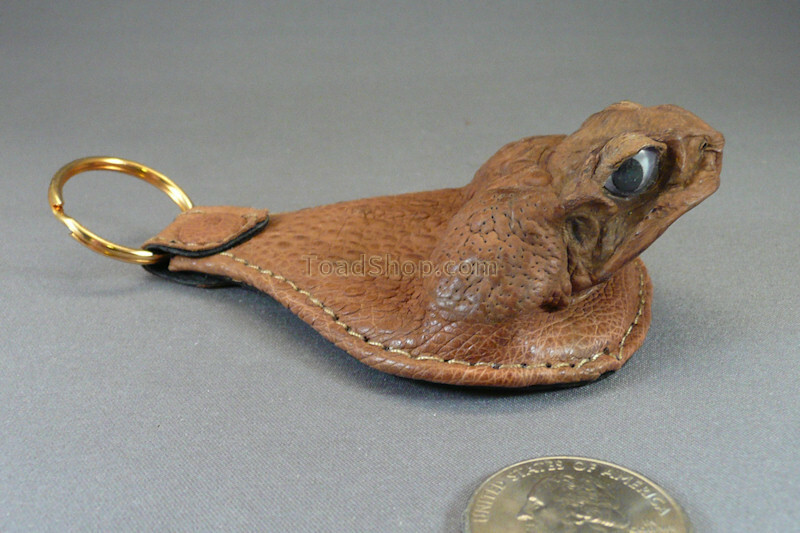 It could also be used as a backpack ornament. This key ring is made of durable Australian Cane Toad leather with black-dyed pigskin on the flat bottom. 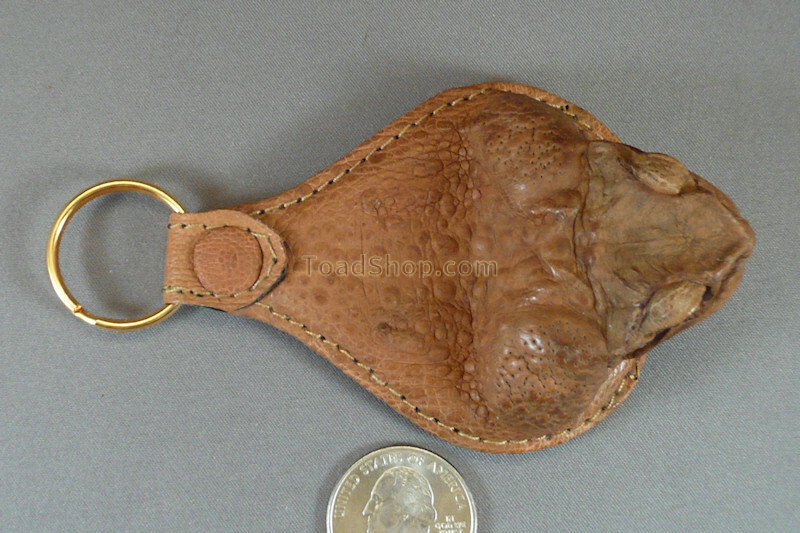 This item would also make a good backpack ornament or draw attention to anywhere you might hang it.